Leonardo Sinclair never expected to fall for the fierce, yet vulnerable woman he meets at his friend’s masquerade party, or for her to disappear without a trace. When his cousins sign him up with the mysterious FANTA-C agency, he finds her back in his bed. This time Leo’s not about to let her go. But can he convince her she’s safe to reveal every hidden part of her soul before she walks out of his life again for good? Scarlett Rose has always been tempted to explore her wilder side, but for years she’d been humiliated and emotionally abused by her ex. Now that he’s gone, she’s finally ready to embrace her true self. 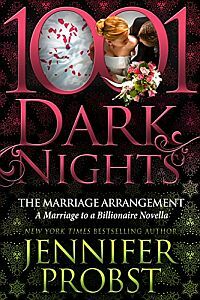 Safely hidden behind a mask, she attends a ball held in the famous Blasphemy club and meets the man who not only embraces her, but demands her complete surrender. Once the mask is stripped away, will she be brave enough to reveal her entire self and take another risk on love? Or will her past ruin the chance of a brand new future?